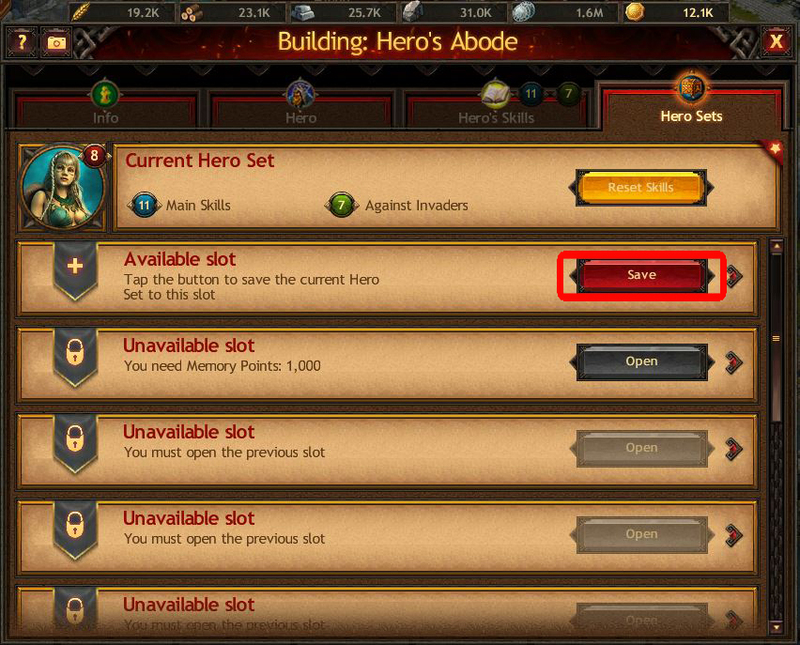 To manage Hero Sets, open the Hero Sets tab in the Hero's Abode. 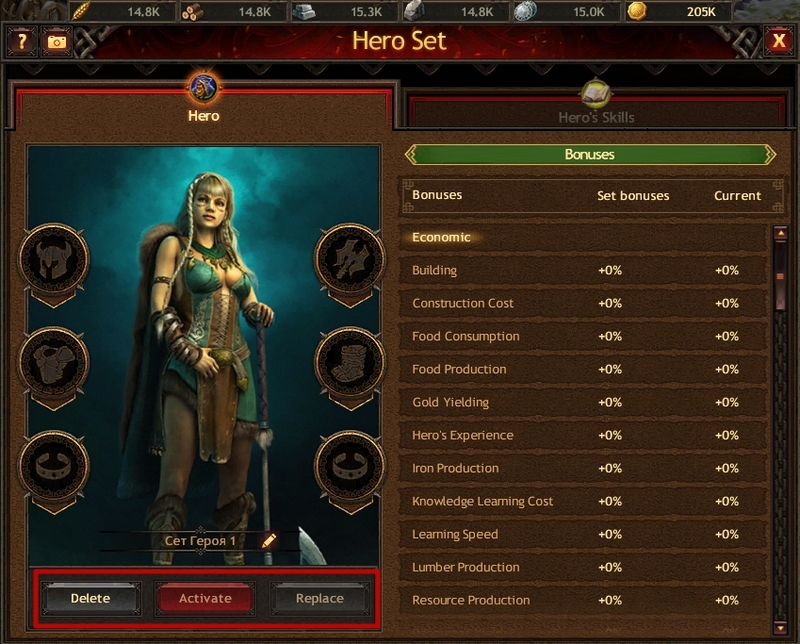 Here you can create Hero Sets, activate and edit previously saved Sets, and also open new slots. 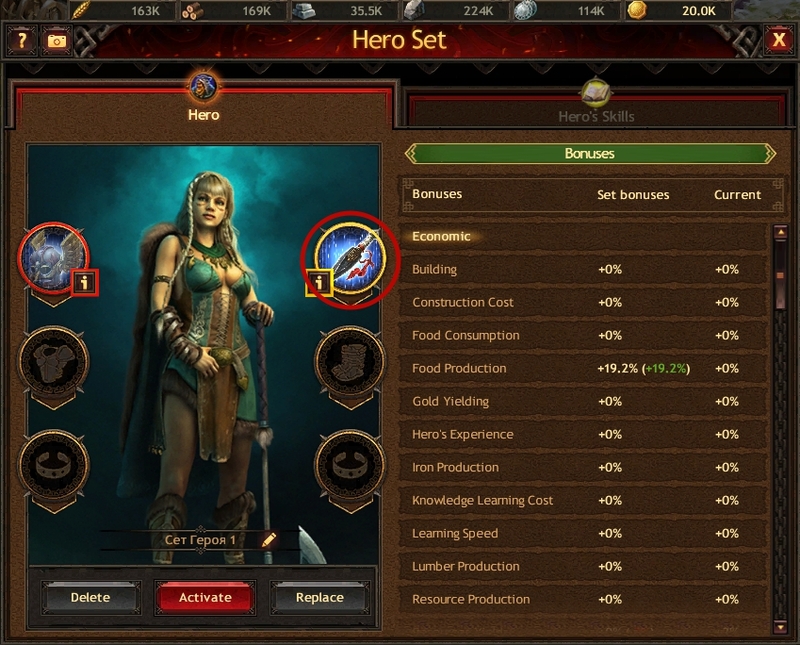 In order to save the current Set of Hero's equipment and Skills, you need to select an available slot, tap the "Save" button and enter the Set name in the screen that appears. When using saved Sets, you can view the Hero's equipment and its characteristics, the Hero's Skills and bonuses, and delete, replace or activate Sets that you have selected. With the "Delete" button, you can delete a Hero Set and use this slot for saving a new one. Note: you only delete the saved configuration of Hero's equipment and Skills. 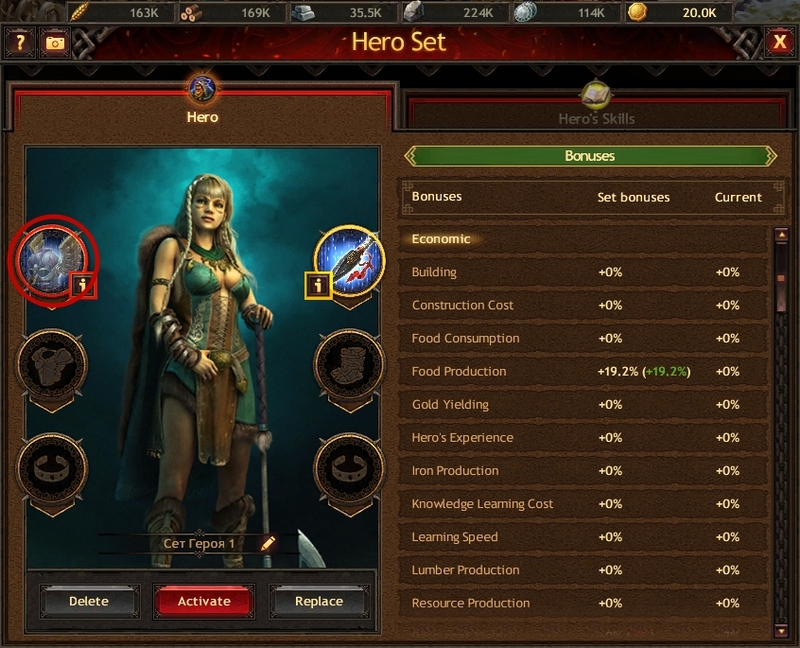 The Hero's equipment and Skills themselves remain at your disposal. Tap the "Replace" button to change the Hero Set. For example, if you need to change one piece of equipment for another with more powerful characteristics or add recently improved Skills to the Set. Tap the "Activate" button to apply this Set by using the Hero Set Activation item that can be purchased in the Item Store in the Bonuses tab or in the Hero Set activation screen by tapping the "Buy and apply" button. Pay attention to the specific symbols that tell you if a piece of equipment saved in the Set has been changed or if there is no such equipment in the Inventory. If a piece of equipment saved in the Hero Set has been deleted, then this slot and the equipment are framed in red with an exclamation point. If a piece of equipment saved in the Hero Set has been changed (for example, inlaid gems were changed or removed from the equipment), then this slot and equipment are framed in yellow with an exclamation point.